Whenever we visit a dentist for a regular checkup they never forget to ask,’ do you floss regularly?’ every time we visit them. Unfortunately, the answer to this question is mostly a no. According to the American Dental Association, we should floss our teeth once and brush our teeth twice daily to prevent the formation of plaque. Did you know flossing is a method of cleaning between the teeth and below the gum lines? These are the areas where a normal toothbrush fails to reach. It is also commonly called as an ‘inter dental cleaner’. Many people say, ‘I use a mouthwash to kill the bacteria.’ What they don’t know is that a mouthwash only kills the bacteria, but to get rid of the formation of that stubborn tartar you need to floss. If you don’t floss your teeth regularly, you may need a dental scaling to remove tartar. Scaling is a method of getting rid of that bit of pieces of foods and tartar that gets stuck in between the gum lines. The action of the mode of scaling is similar to floss. Therefore, isn’t it better to floss regularly because it’s more cost-effective? How to Select the Right Type of Dental Floss? Usually, the dental floss is made up of Teflon or Nylon, and both of them are highly effective ways to remove the particles of food. If you are among those people who have larger gaps between their teeth or suffer from gum recession, you should purchase a wide and flat dental tape. However, if the space between your teeth is less, go for a thinner floss. The dental floss should be about 15 to 18 inches. You need to slide is between your teeth and then fold it around your tooth such that it makes a ‘C’. Once this position is obtained, polish your tooth in an up and down motion. If your gums bleed a little while doing that, don’t worry, it is just an indication that your teeth were in immediate need of flossing because of the excess built up of plaque and tartar. However, even if after a few days of flossing your gums bleed, visit a dentist. This could be a sign of periodontal disease. 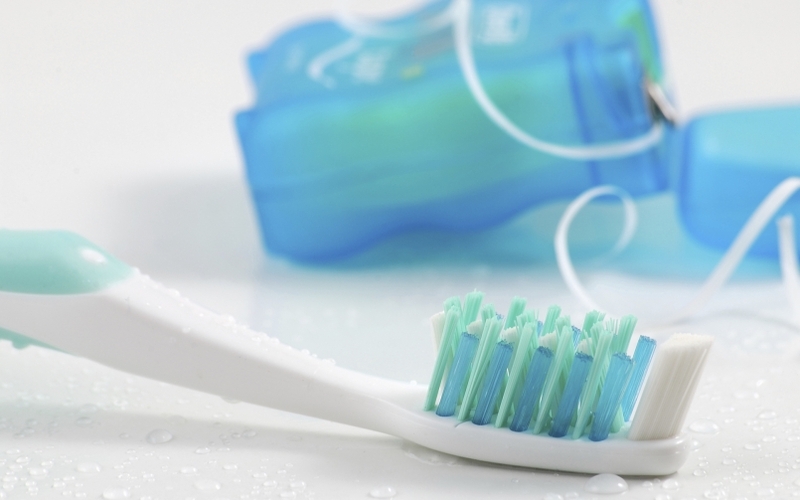 If you are unable to get hold of the floss, try to use a wooden plaque remover that looks like a toothpick, or opt for split plastic floss holder. Both, of these works in the same way as a dental floss. If you still think you don’t need to floss because you brush your teeth twice daily, think again. Does brushing your teeth makes it brighter? Let’s look at an example, when you vacuum a carpet you remove all the invisible debris from it. You may not be able to see them, but they are present and after the vacuum your carpet looks brighter and cleaner. In a similar way, you may not be able to see the invisible bits of food between your teeth, but they are there, and floss removes it effectively, making your teeth look brighter.